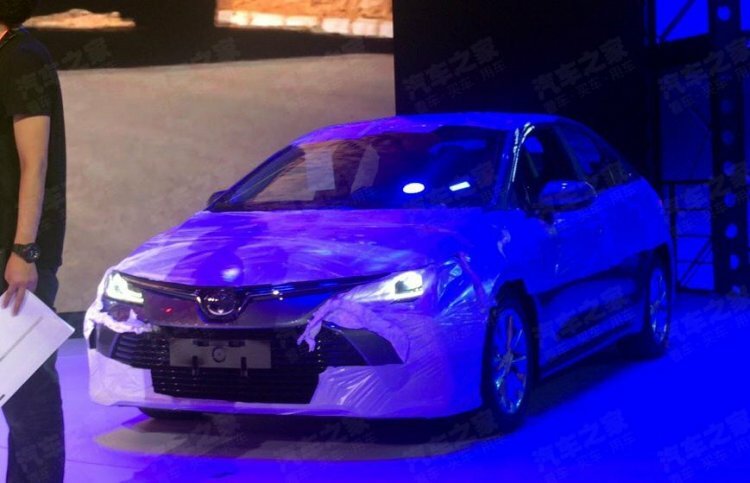 The 2020 Toyota Corolla Altis has leaked in spy shots captured at the 2018 Guangzhou Auto Show. 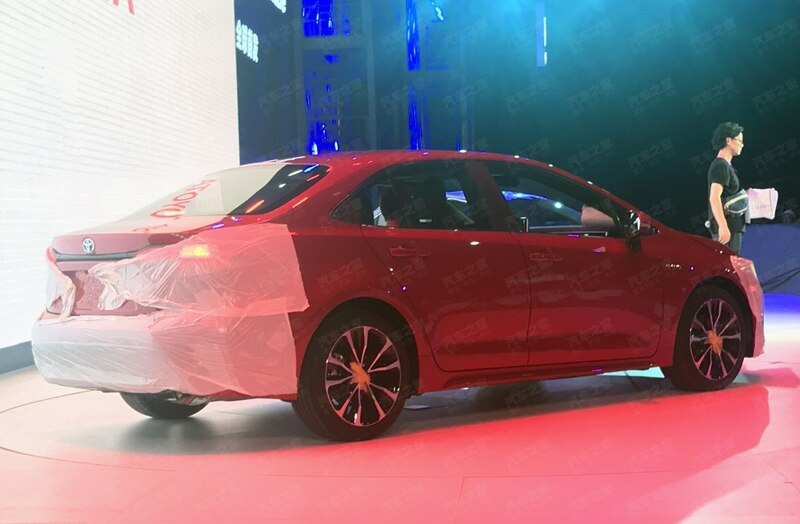 The new spy shots give the first look at its Chinese sister model too. The Chinese-spec next-gen Toyota Corolla Altis' front-end is a little different from that of the North American-spec version. Like many other global automakers, Toyota has a twin-model strategy for its cars in China. While the FAW-Toyota joint venture sells the original Toyota Corolla Altis, the GAC-Toyota joint venture sells an exclusive sister model called Toyota Levin. From the design of the headlamps, it’s clear that the red coloured car seen in the image above is the all-new Toyota Corolla Altis and the car seen in the image below is the all-new Toyota Levin. Interestingly, unlike what was shown in the teaser image of the North American-spec car this week, the Toyota logo is on the upper grille in the models seen here. The grille design doesn’t match either. 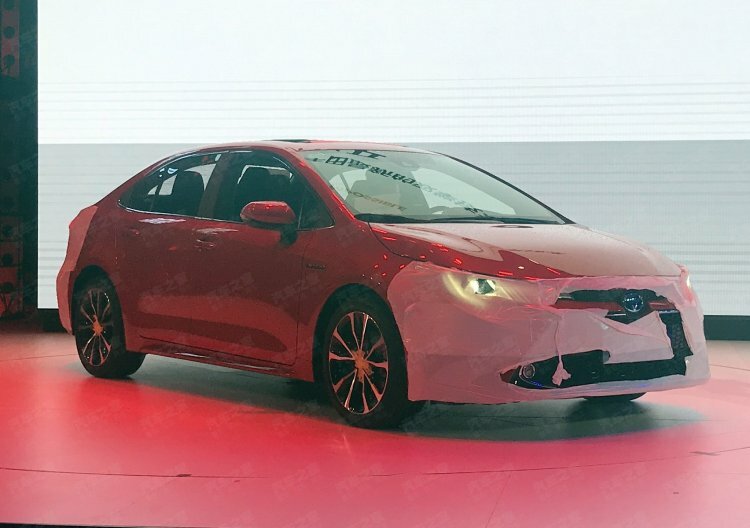 It seems like Toyota is either refraining from taking a unified approach for the Corolla Altis’ design once again, or it's using a unique front-end design for both the sister cars in China this time. Once again, just for China, there's a sister car of the Toyota Corolla Altis called Toyota Levin. Like its predecessor, the all-new Toyota Corolla Altis has a simple profile. Besides a gently sloping beltline and some concave surfacing in the lower body, there’s not much drama going on around here. There’s no upward kick in the all-new model’s rear door quarter-light. The red coloured car seems to have a Hybrid logo on its front wings. At the rear, the new generation Toyota Corolla Altis has sleeker combination lamps, most likely all-LED units, connected via a black trim strip. The interior is in the same clean, uncluttered design as the hatchback and estate versions. The all-new Toyota Corolla Altis features sleeker tail lamps connected via a black strip. The all-new Toyota Corolla Altis and all-new Toyota Levin it will debut on the 16 November, 2018 at the Chinese auto show mentioned above. The North American-spec version of the former will break cover at a separate event held in Carmel, USA on the 15 November, 2018.